Baker Street mice - beware! So far the twins are safe. They'll stay that way if you do what we say. We've decided to make your Baker Street cellar the headquarters for our gang. Everybody must be out in 48 hours. It's Basil's job to move you all out, just the way he moved you in. Better make it fast! And leave the furniture - we need it. This is the only warning you'll get. And listen - if you don't follow our orders, you'll never set eyes on those twins again! Baker Street mice - beware! So far the twins are safe. They'll stay that way if you do what we say. We've decided to make your Baker Street cellar the headquarters for our gang. Everybody must be out in 48 hours. It's Basil's job to move you all out, just the way he moved you in. Better make it fast! And leave the furniture - we need it. This is the only warning you'll get. And listen - if you don't follow our orders, you'll never set eyes on those twins again! I gasped in horror. Would it be my friend's dreadful fate to perish in the swirling torrent below? "Take care! Take care!" I shouted. But my worst fears were realized. Ratigan went over the edge, dragging the detective with him! 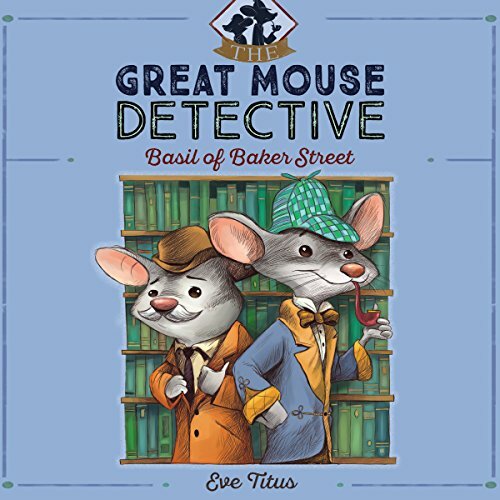 Basil - the famous sleuth of mousedom - has learned a great deal living in Sherlock Holmes' cellar. 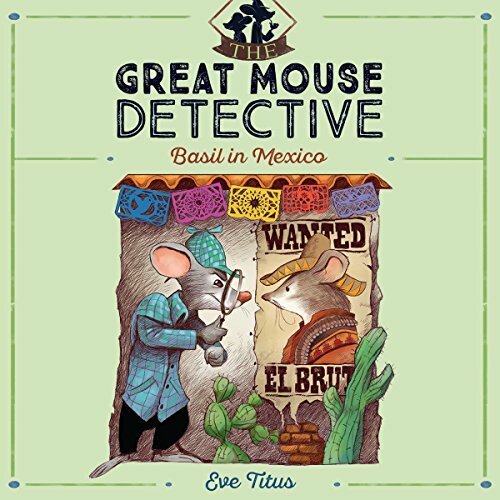 Now his sleuthing skills are being put to the test on a wild trip to Mexico! First, mousedom becomes frantic as mice are cracking their teeth on phony cheese made of concrete. Can he find a way to stop whoever is making the counterfeit cheese? Then, he must ferret out the truth when a beloved masterpiece - the Mousa Lisa - goes missing. Tom's eyes bored into Basil's. "I admire and respect you as a brilliant detective, but I must speak frankly. Your chances of capturing J. J. are practically zero. The obstacles are too many and too great. In my opinion, Basil, you're on an impossible mission!" 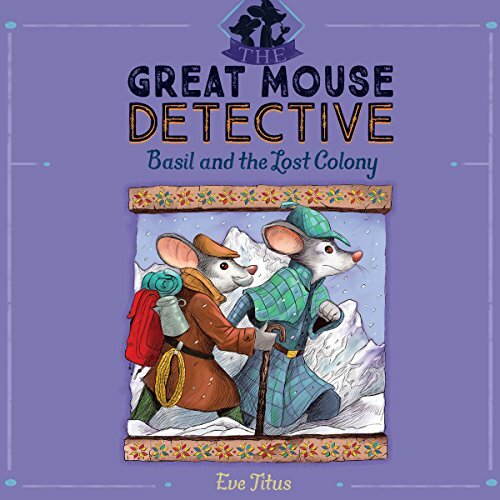 Basil the mouse detective sets off on a journey to solve one of the greatest mysteries of mousedom: Do miniature cats exist? Leading mouse scientists aren't certain, but they believe answers can be found in the Far East. Thus begins the story of an unusual quest. As Basil sets sail for the Far East - and the lost island of Kataarh - danger stalks him at every turn. 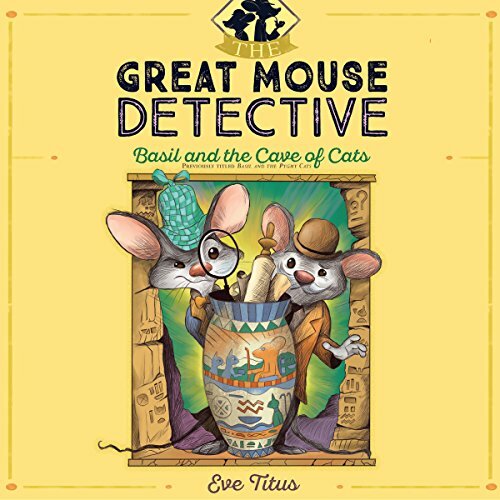 Our hero is determined to unravel the mystery of these mini cats and their mouse king! 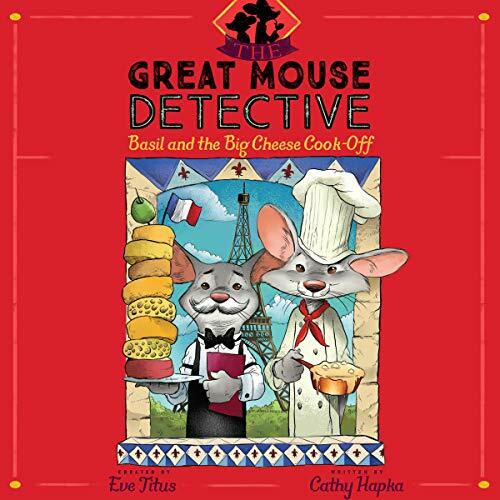 Basil the mouse detective is called to Paris when the organizers of the Great Cheese Cook-off (an international culinary competition) start receiving threats against the event. Who could want to deprive all of mousedom of one of its tastiest nights? 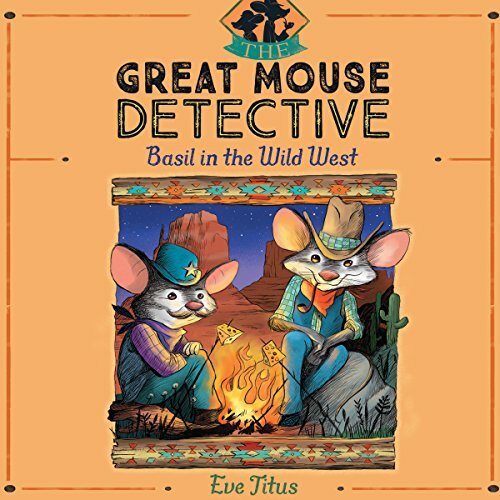 Basil immediately suspects Ratigan, who has escaped yet again and was seen lurking around Paris, and sets off on his investigation at the event’s location, the Parisian College of Cooking. But Basil is baffled when circumstantial evidence shows that it couldn’t have been his old enemy after all.